WASHINGTON — Vaping companies are slapping the labels of kid-friendly snacks and beverages on their products in a new tactic to expand their growing consumer base: teenagers. The Food and Drug Administration has issued warnings over the advertising practice, saying it can lead to poisoning if young children ingest the liquids. The FDA collaborated with the Federal Trade Commission, which polices deceptive advertising. This new advertising maneuver by large companies is just one of the many ways vapes and e-cigarettes are becoming a bigger problem among teens. The other? Making vape tools and e-cigarettes in the shape of other items, like school supplies. For example, the Juul is shaped as a USB drive, and has become an issue in schools, where faculty and administrators are unable to tell the difference. 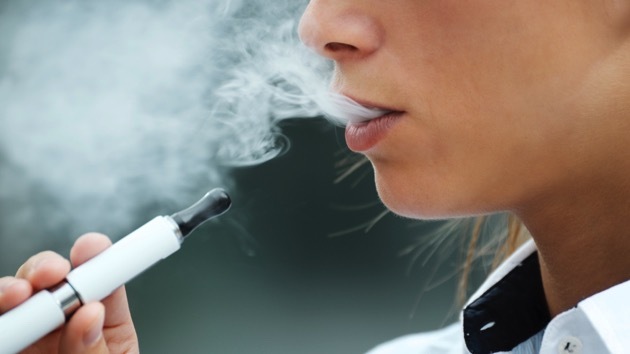 The discreet smoking device also maintains its cover by using vapor. The situation has gotten so out of hand, Steiner said schools are sending out newsletters and taking doors off bathroom stalls. “One school even banned USB drives,” she said. So how can parents get ahead of these companies promoting to their young, impressionable kids? Steiner suggests having a blunt conversation with your kids by first asking if they’ve ever experimented with vaping tools and e-cigarettes. Then, whether or not they come clean, explain to them that the nicotine in these devices is still a harmful, addictive drug that could cause them to get sick. And if that doesn’t work, Steiner also shared a tactic she said she uses on her own kids. “Part of a kid’s role is to make all of us proud … and vaping and using e-cigarettes doesn’t fit that bill,” she said.